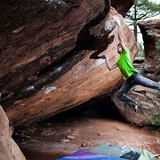 This is the biggest area of Albarracin, with over 350 individual boulder problems. 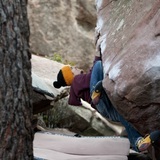 You can find everything from hard roof climbs and overhangs to slabs. Arrastradero is a very popular area especially during weekends. 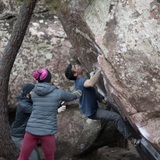 It's quite shady, so it's possible to climb even when the temps go up. The list would go on and on, this is def. 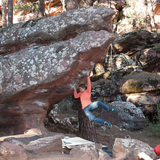 one to visit when coming to Albarracín. 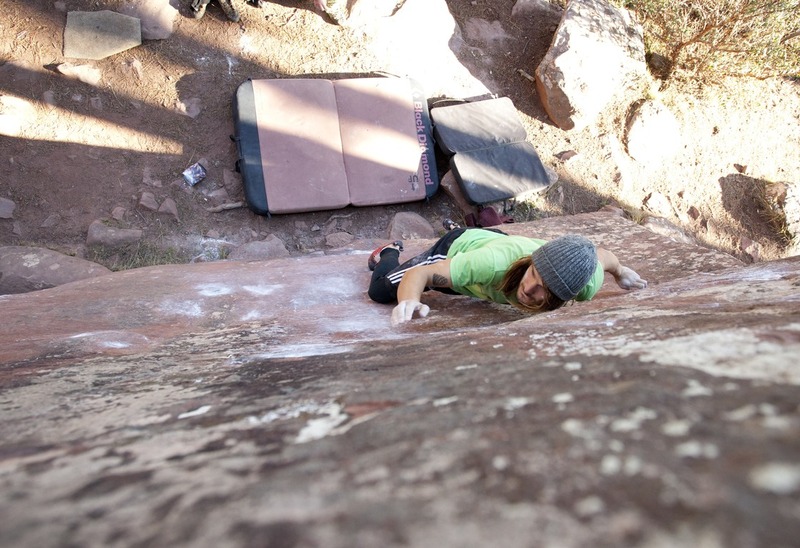 Please keep in mind the basic rules of Albarracín, keeping it clean. 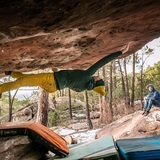 Albarracín is the Spanish Fontainebleau. The red colored sandstones offers good roof problems, slabs and overhangs in over 10 sectors. There is enormous potential to open new routes, but it is very important, that the local rules are obeyed. Anywhere within 30 m of the road or rock paintings. The aim of the restriction is to protect the natural bird nesting areas. 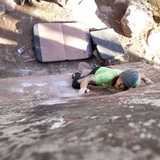 These restrictions have been placed cause some climbers did not respect the nesting periods, that had been placed before. It is important that everybody respects 100% the prohibition in order to keep these areas safe and quiet. 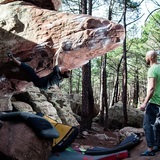 Following these rules is also important, so that there wouldn’t come more restrictions and bouldering in Albarracín would be possible also in the future. PINTURAS - There is one great reason to walk here! On the A 23 from Zaragoza towards Teruel. Take the exit 131 and continue to Cella. Keep to the left there towards Gea de Albarracín to the juction with the A-1512. Turn to the right here and continue via Gea de Albarracín to Albarracín.